Once you fold your handlebars out of the way with a folding stem, your bike is as wide as its pedals. 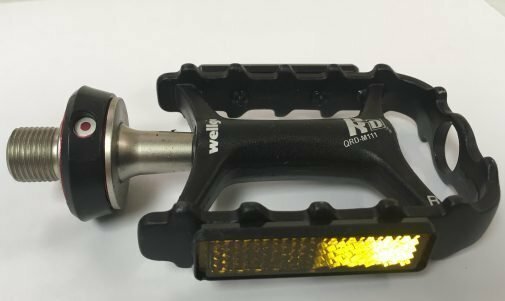 These quick-removing Wellgo pedals come off in seconds without any tools, so you can fit your bike in less space for storage or transportation. (Set of two). 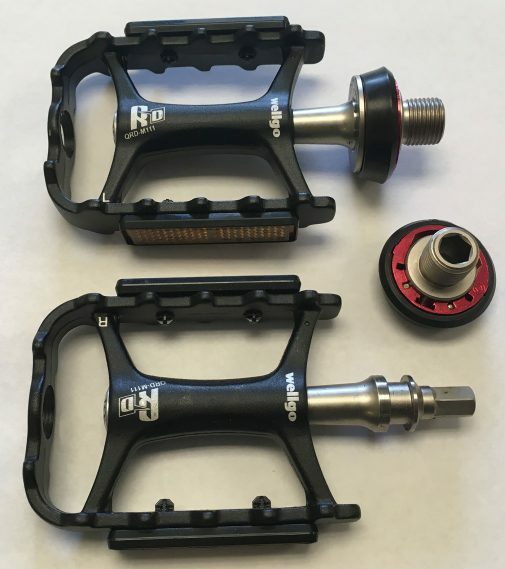 NOTE: All CHANGE bikes already come with one set of first-generation pop-off pedals as standard equipment. 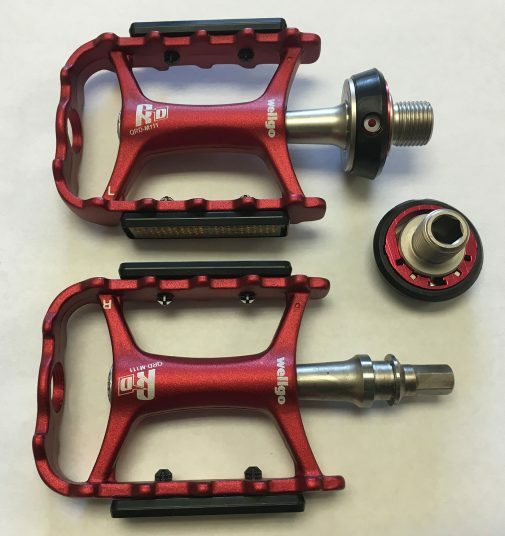 These are second-generation, with a more refined latch and available in two colors, red and black. 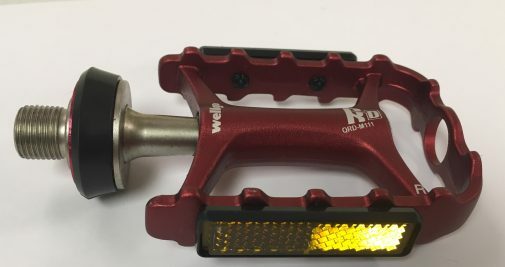 If you want a second set, such as one set for toe cages/straps and one without, this type of pedal is a good choice, and is fully compatible with toe cages/straps. Or, this purchase may make sense if you prefer the second-generation latches to the first generation.